Talk about satisfying! 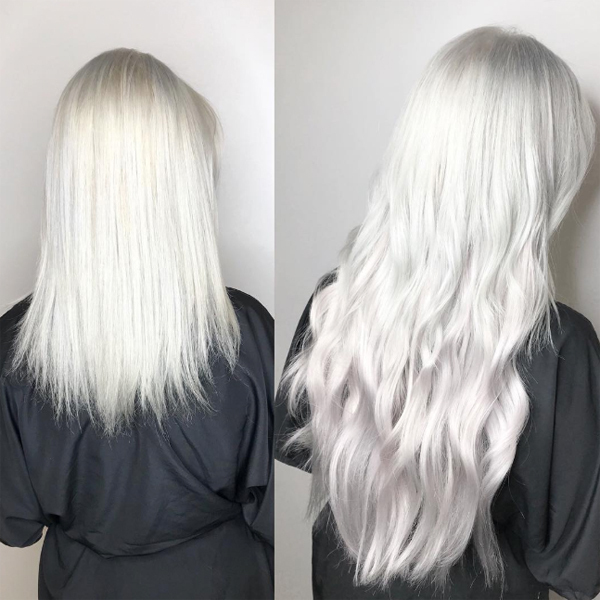 We rounded up five fantastic before-and-after photos that show the power of tape-in extensions. Keep scrolling for the goodies, plus get some of our favorite tape-in extensions tips! Extensions aren’t just for length—clients with fine hair on the sides of their head can benefit from a few tape-in extensions. “Rather than sandwiching two pieces of hair together, you can apply one ultra-fine Great Lengths GL Tapes to the hair by attaching a single backing to it, making it invisible and lightweight for all your fine-hair girls,” said @lo_wheelerdavis. A major rule of extensions: use multiple colors! Monotone shades can look artificial, but sandwiching two colors creates dimension. For clients who don’t want chemical services, this can be an option—plus, you can easily color GL Tapes to match your client’s look. Choose a tape-in extension that gives the most seamless finish. GL Tapes have a narrow profile to reduce bulk on the head, and GL Tapes Plus have tapelines that are totally covered in hair, making them even more undetectable. Great Lengths Ambassador Lyndsay Maderis says she uses GL Tapes Plus at the underside of the perimeter and the top sandwich of the highest row for a seamless look—check them out in the video below. Start application in the back of the head. Leave a perimeter of natural hair to cover the tapes when your client pulls her hair back. Apply in a bricklay pattern to ensure the hair moves naturally. “I think stylists get scared to cut extensions after all the investment, but cutting is critical to creating a natural blend,” says Lyndsay. Use a razor or texturizing scissors to cut and blend, or if you feel comfortable, use scissors to create a more delicate cut or to point-cut the perimeter.